It's been awhile since I hosted a workshop. Too long in fact. 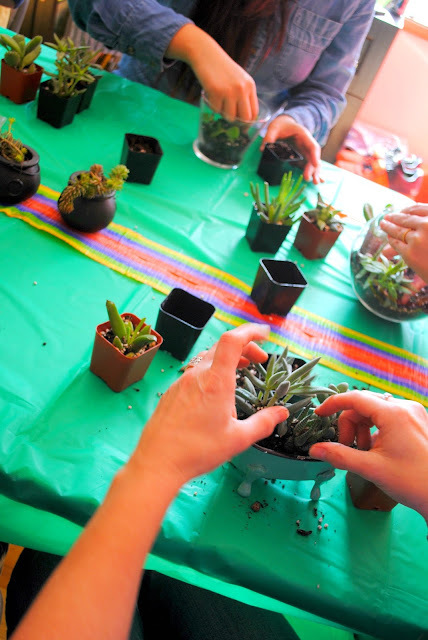 The last workshop was a fun tropical fest. I missed throwing workshops so this year I'll be hosting quite a few. If you get my newsletter you'll be sure not to miss any of them. 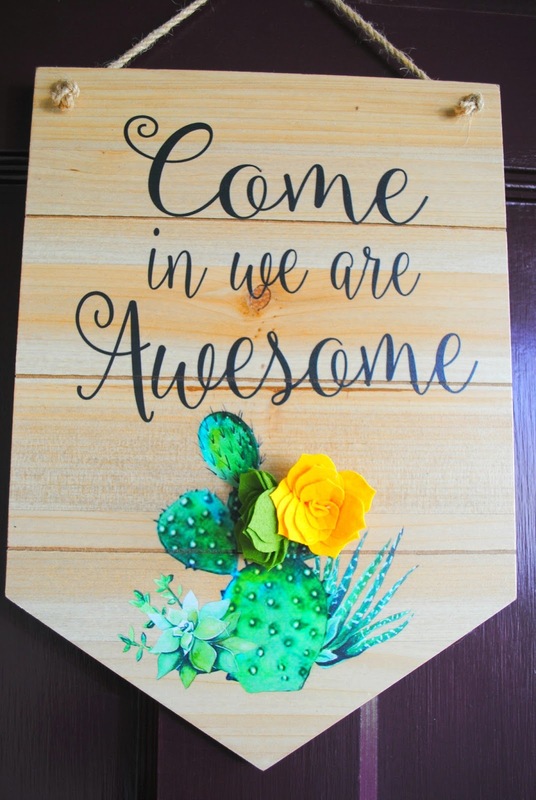 I love starting the party at the door and this sign was perfect for the succulent workshop. If you're at one of my workshops you better believe you're awesome! 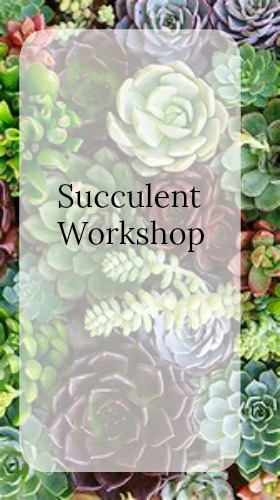 Not only is this sign perfect for succulent workshop but if I ever do a cactus workshop it works for that too. Can't have a workshop without treats. Well you could but that wouldn't be as fun. 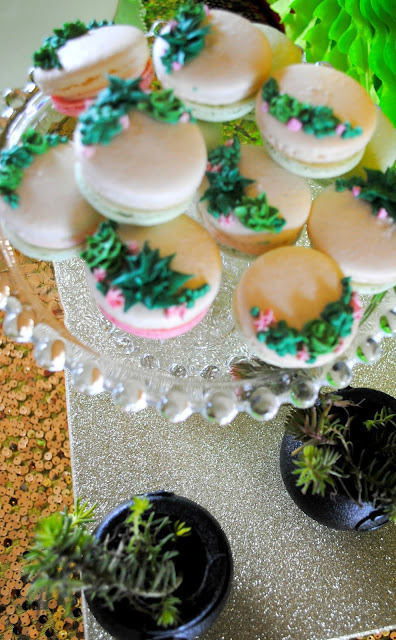 Sprinklemade made the cutest tastiest macarons for the workshop. 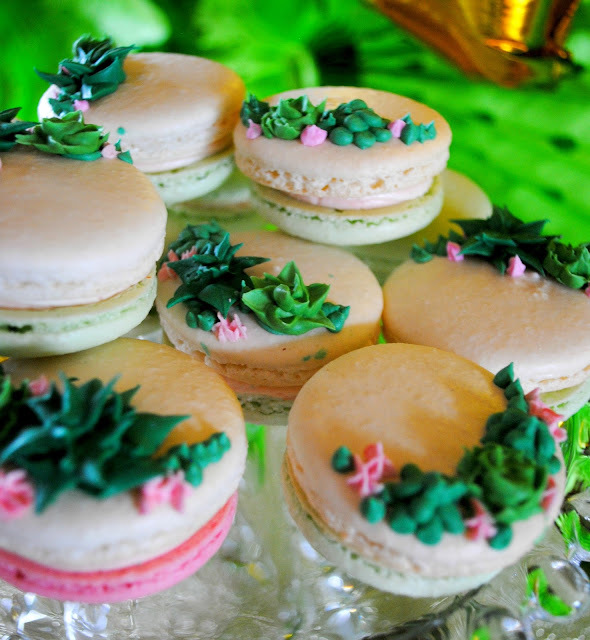 Strawberry flavor burst from them and there wasn't a single macaron left. I lined up all the succulents in the middle of the table for the guests to choose from. I made sure to have a variety of cuties. The different shapes and colors made for a more interesting garden. 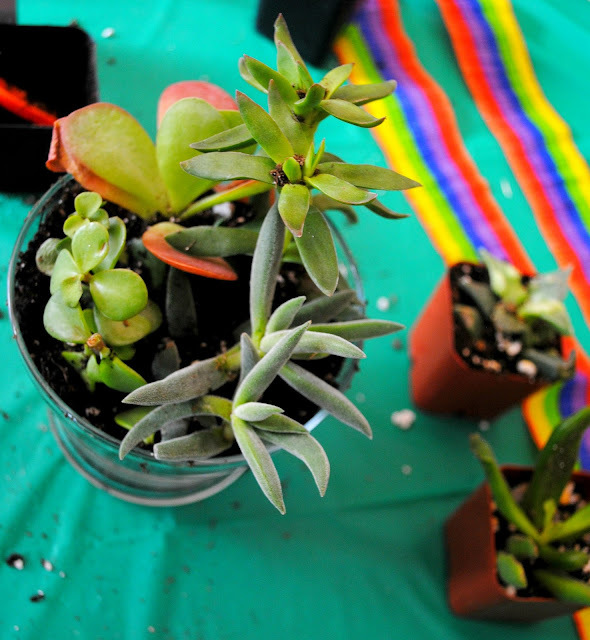 Not only was there a variety of succulents to choose from there was also a variety of containers to choose from as well. Guests could choose from a glass bowl, a glass globe or a vintage metal bath tub. After choosing their succulents and container it was time to get creative. 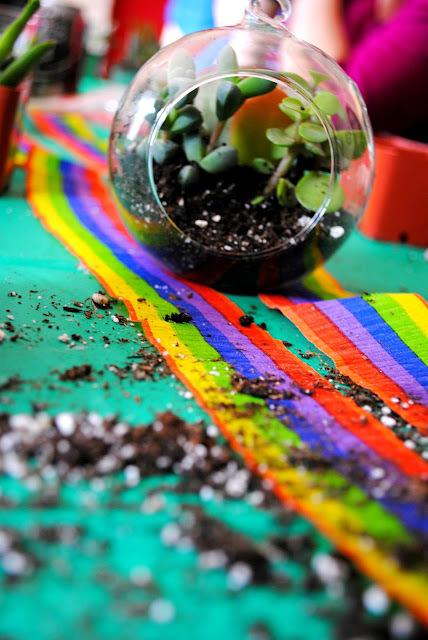 Why the rainbow crepe paper down the middle of the table you may ask. 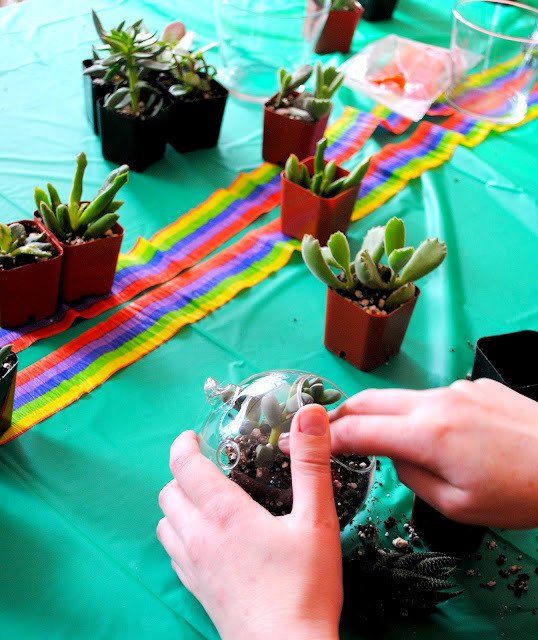 The succulent workshop was held around St. Patrick's Day and I can't help but add a little holiday décor into my workshops. 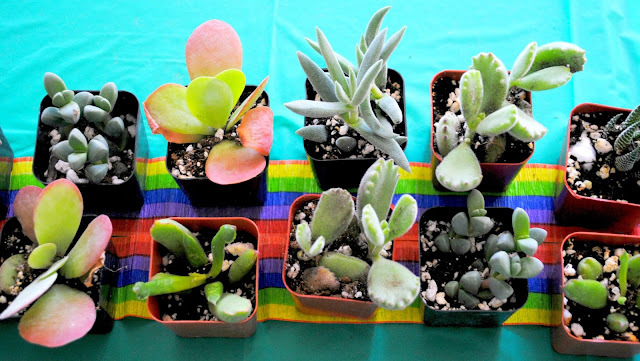 As the guests were creating their succulent gardens I walked around and helped them in deciding how much dirt to fill in their container, which variety of succulent to place where, and gave tips on how to not kill the succulents once they got them home. The beauty of succulents is they are super easy to care for. 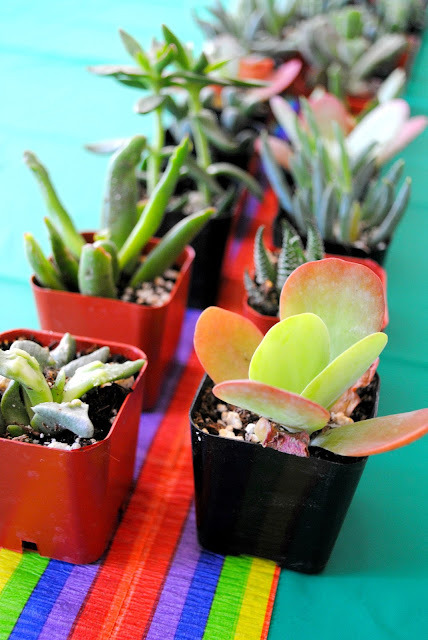 And if you have a yard you can remove them from your succulent garden, plant them in the ground and they will multiply. 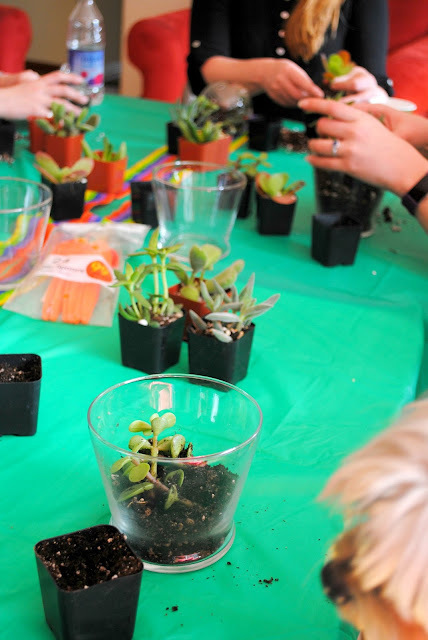 It was so fun to see all the succulent gardens taking shape. 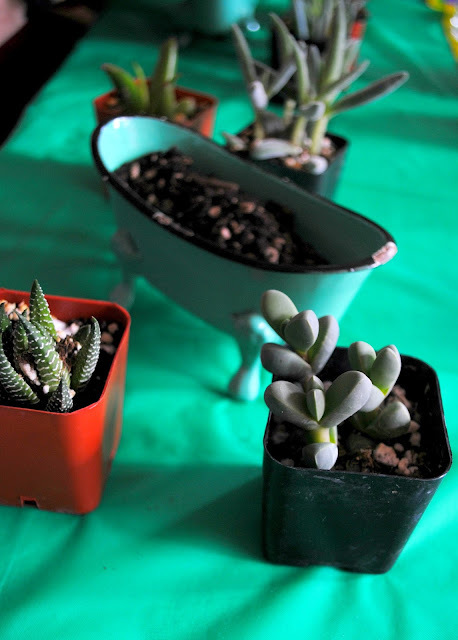 Those little bathtubs were SO cute stuffed with succulents. Both guests who chose the bath tubs said they were going to place them in their kitchen window. CUTE! 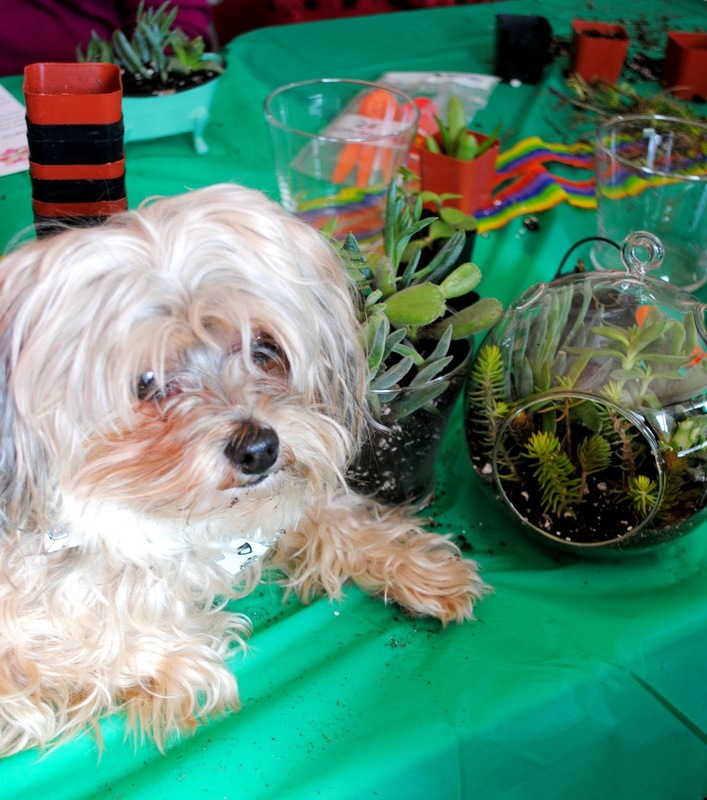 We even had a special guest at the workshop, The Tenacious Little Terrier. He was the cutest little helper. He gave his paw of approval on the finished succulent gardens. This workshop was so much fun and so popular that I'll definitely be hosting another one or two 😉 While I probably won't make it to your state this year, leave me a comment and let me know where you'd like me to host a workshop. You never know when I just might make it to your state. How cool! That looks like a fun and satisfying workshop to have attended. Also, I am loving that little bathtub vessel. We had a lot of fun! Isn't that bathtub vessel cute :) I can't wait to host the next one.